Are Wearables The Next Big Step In Tech? More companies are creating wearable tech; from fitness bands to smartwatches, GPS trackers to bodycams, but moving beyond novelty has proven difficult for the industry. There are looming concerns over security and privacy, as well as what gap in our lives these devices try to fill. What can wearables do to improve our lives? When the Google Glass was first announced several years ago and early models were released to a select few, it was met with a lot of praise and a great deal of press coverage. Futurists and journalists alike were excited for a new wave of wearable technology to change the world. After a while, no one ever heard about them except for a few jokes and passing references to a failed idea. Some places even banned them outright out of fear. They just didn’t seem to catch on with the public. Smartwatches are also a recent development in tech. In fact, many people say they enjoy them, but that it really isn’t a necessary purchase, much like a regular watch today. They’re getting pushed by companies and are mostly still being produced, but I cannot remember the last time I saw an average person wearing a smartwatch of any kind. Most people in developed nations really can’t go without their smartphone, despite smartphones in even their most basic form being no older than about a decade. What perhaps makes them different is that they took a cell phone (a necessary thing for many people) and evolved from there. It almost seemed like a natural progression of a technology that was still in use. The average consumer does not buy appliances (or anything) they do not need or feel that they need. While there will always be a market that will scoop up the latest technology in hopes of being the first of the pack to have it, most people will wait to see if something has a direct impact on their lives. So far we’ve seen little that a piece of wearable technology can do that a smartphone or something else can do by default or for cheaper. They might be a few seconds more convenient, but people won’t spend several hundred dollars on that. Once that line of necessity is crossed, we’ll see a huge market for wearables. What do wearables (currently mostly smartwatches) have to their advantage? Much like smartphones, they are extremely versatile and, with touchscreens, can be used to perform simple tasks far more easily and conveniently than most other devices. With the exception of focused devices with a target audience such as Fitbit, this is likely going to be the future of wearables out of sheer necessity (and to avoid market oversaturation). It’s likely only a matter of time before an innovator creates a program or integrates a must-have feature for wearable technology that makes them worth every penny of their cost. If wearables are open to this sort of development and remain versatile devices, this is likely to happen sooner rather than later. The more options developers can use and use in conjunction with each other, the better products that can be produced. What About Safety, Privacy and Security? One of the major criticisms and fears regarding Google Glass and other smartglass technology is that people were extremely concerned for their privacy, given the wearable’s ability to take a picture of just about anything and possibly record the sound around it as well. We need to remember that we are dealing with only one internet here and that wearable security affects us all. Additionally, what about the security and privacy of the wearable itself? Will they be able to be connected to Virtual Private Networks upon release to encrypt data over a network? Will they have security features or apps available to protect against the inevitable malware? Will apps be structured similarly to how smartphones segment apps today to prevent damage to a smartphone’s systems? It is likely that uniform standards will need to be put in place (whether by corporate agreement or government standards) to keep consumers safe and confident enough to buy wearables on a mass scale. It will undoubtedly be a problem that designers will need to consider. Taking all of this into consideration, the fact remains that we can’t be entirely certain what the tech giants have prepared over the next few years. It could very well be the case that some of the necessary changes listed above are on their way to production right this moment. 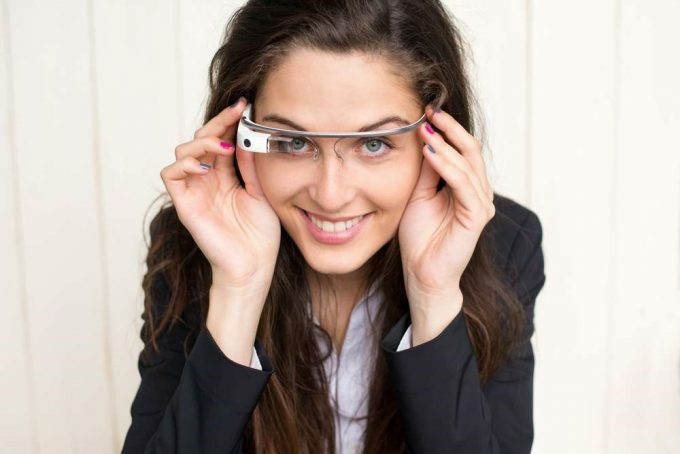 Do you have any thoughts about the future of wearable technology? Do you think that there is a chance you’ll be using wearables in the coming year? Do you think any company is on the right track to giving you what you want? Please let us know what you think and leave a comment below. About the Author: Cassie is a technology blogger and writer who specializes in writing about new and future technology. She also takes cybersecurity concerns to heart and hopes that whenever wearables become a mainstream option, they will be safe and secure for all users.